Richard grew up in Petersburg, Virginia. He graduated from American University in 2005 and received his J.D. from the Washington College of Law at American University in 2011. 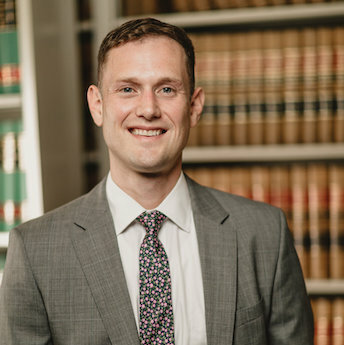 While in law school, Richard was a member of the Mock Trial Honor Society and served as the Society’s President from 2010-2011. He also interned for the ACLU of the Nation’s Capital and clerked for the Montgomery County Office of the Public Defender. Currently, Richard focuses his practice on helping the injured and disabled. Richard Cuthbert shares his father’s passion for the law and for the City of Petersburg. He practices law during the week and still finds time to organize and oversee the Riverstreet Market, a seasonal Saturday farmers’ market in Old Town promoting healthy living and adding vitality to downtown. Richard is also an avid gardener.